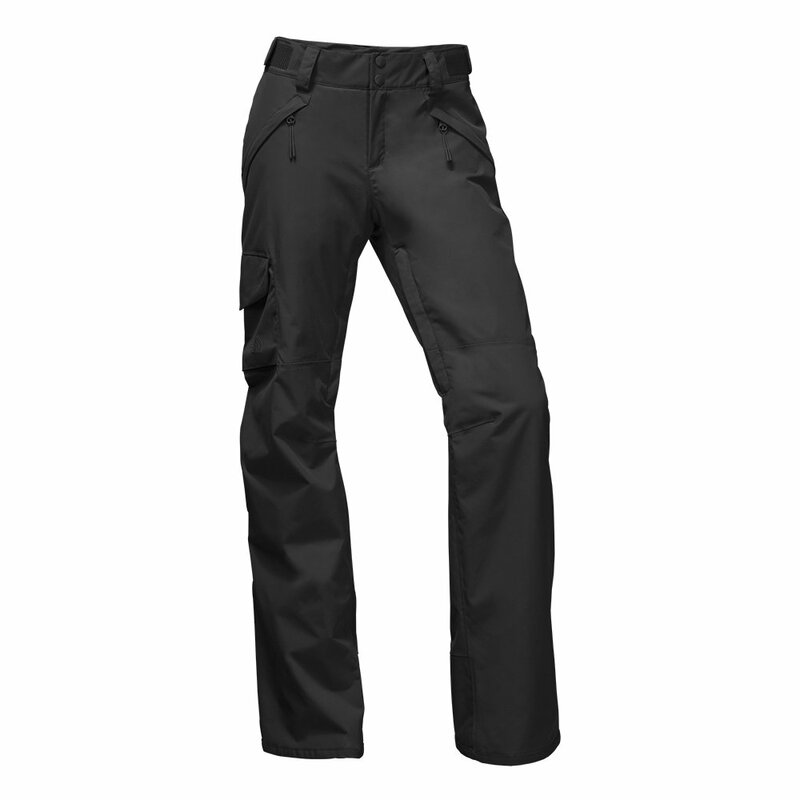 The classic look of the Women's Freedom Insulated Pant makes it a great choice for an everyday ski pant. A two-layer waterproof DryVent™ shell houses 60g Heatseeker™ insulation, adding extra warmth. A standard fit, articulated knees, and a StretchVent™ gaiter provide an extreme range of motion for everything from cruising the blues to exploring the backcountry. The Freedom Pant is designed with clean lines to take you all the way from first tracks to apres-ski without missing a beat. Enjoy great mid-range warmth for all-season riding with the 60g Heatseeker™ insulation. The outer fabric is waterproof and breathable, thanks to DryVent™ technology. Solid colors, a relaxed fit, and articulated knees make this a great pan for everyday skiing. "What is the length of the inseam on size xs"
"The inseam on the The North Face Freedom Ski Pant in a size XS is 30 1/2 inches. Hope this information helps!" "What is the inseam size of the size large pant please/"
"The inseam on The North Face Freedom Ski Pant in a size LARGE is 32 1/2 inches. Hope this information helps!" "I wear a size 0-2 in jeans. Your XS is such a wide range. The 2 would fit perfect. Does an XS run more a a size 0 or 2?" "The The North Face Freedom Ski Pant has an adjustable waist allowing for the XS to accommodate the size 0-2. The inseam on the size XS is 30 1/2" long. Hope this information helps!" Good quality, appear very warm but run a little big and look long and bulky. I ordered size S and did not like how they fit me. They may look better on a taller person, I am 5'4'. Returned them. many ski pants I have found to be too long or huge in the waist, the fit on these was perfect but I have found them to not be as warm as I hoped. This is my third pair!! thats how much I love them!! Really great ski pants!! I like them so much I am now ordering third pair in another color! very well made! !